As the world tries to make sense of the heinous murder of Saudi journalist Jamal Khashoggi, Altamar feels that the public should hear Jamal in his own voice. Altamar releases a special episode with Peter Schechter’s interview of Jamal released on February 7th, 2018. Altamar is re-releasing the interview with Jamal Khashoggi because we are concerned some are now falsely portraying him as an extremist and provocateur. These are lies orchestrated to cynically justify his assassination. Listen for yourself to his voice of hope and reason. “The world is rightfully outraged at the indiscriminate and savage murder of Jamal. 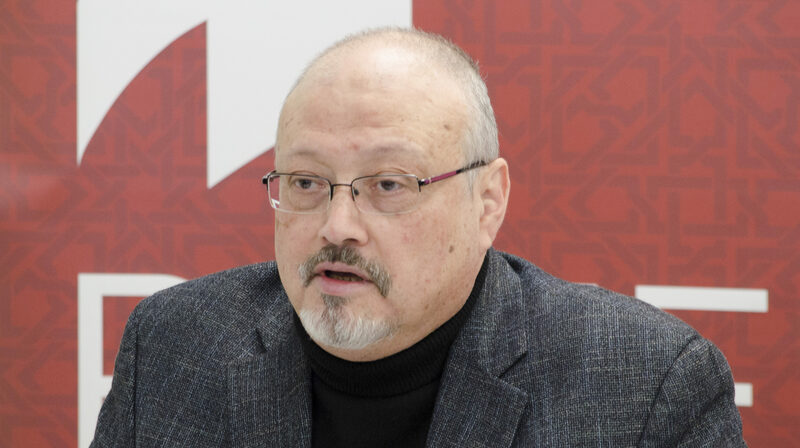 We are especially disappointed by President Trump’s reaction to Jamal’s murder, which has generated more confusion than clarity about both the crime and the character of the man who was killed,” said Altamar co-host Peter Schechter. “Throughout the interview, Jamal was incisive. Yes, he was a critic. But what comes mostly through in this interview is how hopeful he was and how much he wished for Mohammad bin Salman’s success. The Saudi hit squad didn’t murder a radical. They killed a thoughtful man of reason,” he added. In the Altamar interview, Jamal said that Saudi Arabia needed somebody like MBS. He reiterated how a leader to seize the moment and, though he was hopeful, MBS left him confused. He liked some of the things MBS stands for but was worried by his extreme acts at home and abroad. Jamal suggested that for MBS to rein in his ‘shoot first and aim later’ instincts, he would do well to surround himself by worldly and knowledgeable Saudis who could give him unvarnished advice. Jamal agreed with MBS that an expansionist Tehran was a growing threat to the region’s stability.